After falling in the water and almost drowning, a young schoolteacher finds himself lying on a beach, unable to remember what happened. Unbeknownst to him, his rescuer is a mermaid, who has fallen in love with him. 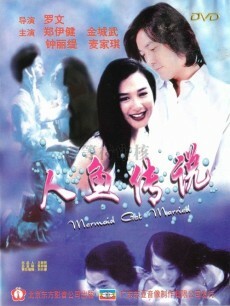 To pursue her love, the mermaid comes onto land and enrolls in his school as a student. Things don't work out as she planned, however, as she soon attracts the jealousy of the other girls in the school. To make matters worse, she must hide her secret from a gang of fortune hunters who would like nothing better than to catch their very own mermaid. ali yang Mar 06 2013 1:29 pm please please release this movie again.. it's so hard to find the original!! !